The final stage of the Classical Trivium model is Rhetoric. This stage harnesses high school students’ natural inclination toward creative communication and expression. Students learn how to speak and write with eloquence and grace. At Veritas, the focus now shifts to the expression of ideas in fluent, elegant, and persuasive forms. 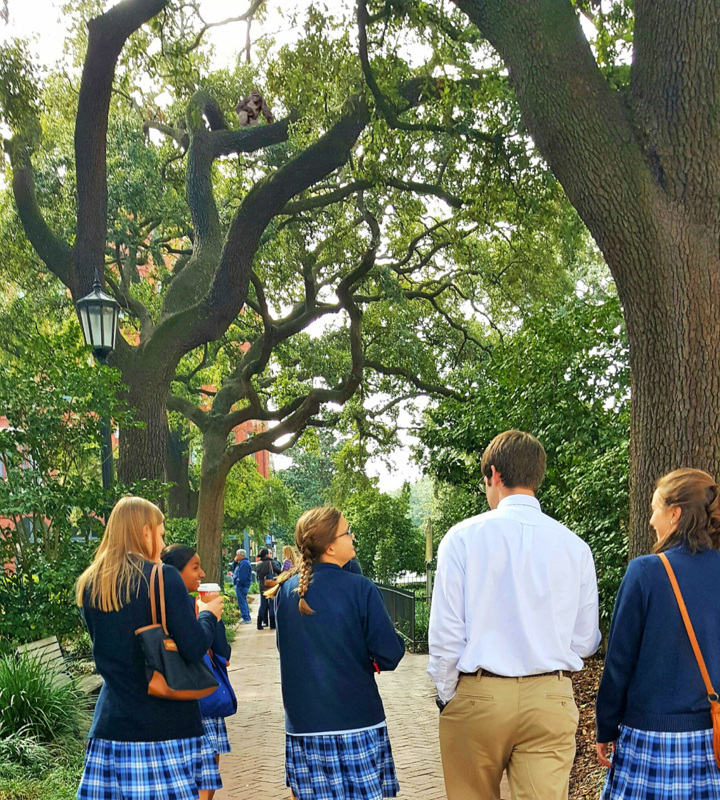 Students add formal rhetoric to their course of study, in addition to the core subjects of theology, literature, history, math, grammar/composition, and Latin. Their engagement with primary sources and great books also increases. Teaching methods in the Rhetoric School include dramatic and oral presentations; guided research with the goal of synthesis of ideas; longer essays and papers; in-depth field trips and study tours; class discussions; and debates of world views. The Logic School meets Monday through Friday, 8AM til 1:30PM. 8AM-2PM, Monday through Friday during the school year.